32 million adults in the US cannot read. We partner with Reach Out and Read medical clinics to provide an early-literacy intervention. 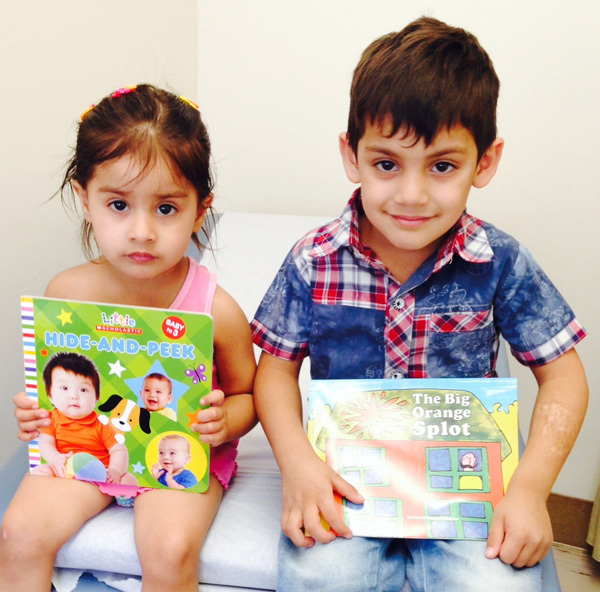 During checkups at Reach Out and Read clinics, young patients receive a new book to take home. Healthcare professionals also speak with parents about the importance of reading aloud to children, starting in infancy. Reach Out and Read families read together more often, and their children enter kindergarten with larger vocabularies and stronger language skills. The Carole Stinson Literacy Foundation has presented grants to outstanding literacy programs since 2007. Through a partnership with Reach Out and Read clinics in Central California and the San Francisco Bay Area, our grants supply new books to children during medical check-ups. A groundbreaking approach to early literacy, Reach Out and Read healthcare providers use a book to help assess each childâs development and share with caregivers the importance of reading aloud at home. We also support literacy projects for learners who are age 18 or older. Past initiatives include reading instruction, GED preparation, job skills readiness, and the creation of recorded books. The CSLF board is composed of dedicated volunteers who care deeply about literacy. No salaries are paid to any person acting as a board member or assisting with our fundraising events. This means that more of your contribution is used directly for literacy!